PLATTSBURGH, NY – Roger Diaz ranked as the top Empire League Catcher with a 1.79 pop time to second has been selected to move up to the Atlantic League. .
With the many injuries taking place in such a high level pro league windows of opportunity have opened and spots need to be filled. It’s a great chance for our players to really see the level of play and we are thankful that our league is heavily chosen to select players from. 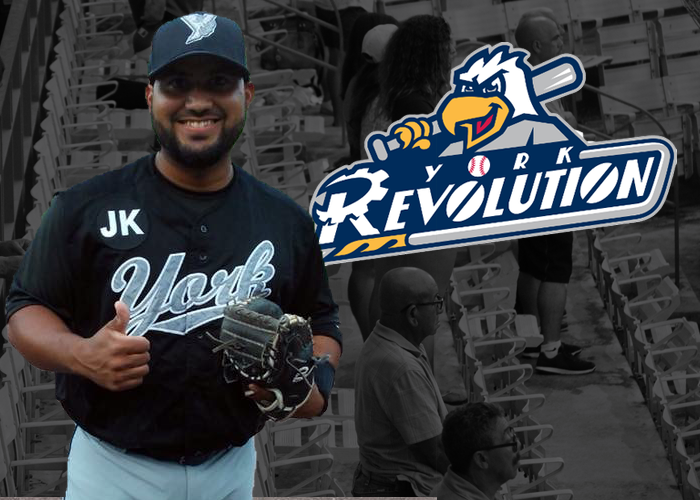 Diaz, who was with the Plattsburgh RedBirds will now be in a York Revolution of the Atlantic League uniform.